Thomas F. Wienker is Senior Research Fellow in the Department of Molecular Human Genetics at the Max-Planck-Institute of Molecular Genetics in Berlin-Dahlem since May 2011. He graduated as a Doctor of Medicine from the University of Freiburg, Germany, in 1982, and obtained his board admission as a Medical Geneticist in 1986. He then served as Research Associate and Senior Research Assistant at the Institute of Human Genetics, University of Freiburg, until 1993. In 1992, he became Associate Professor of Human Genetics and Anthropology; in 1993, he became leader of the working group for Genetic Epidemiology at the Max-Delbrück-Centrum for Molecular Medicine in Berlin-Buch. In 1997, he obtained a Full Professorship of Genetic Epidemiology at the University of Bonn. 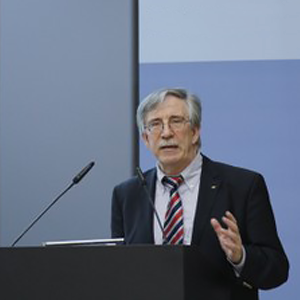 From 1998 until his retirement in March 2011, Thomas Wienker was Head of the Genetic Epidemiology Group at the Institute of Medical Biometry, Informatics and Epidemiology at the University of Bonn.